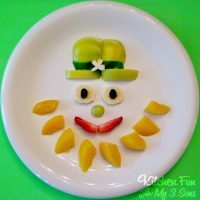 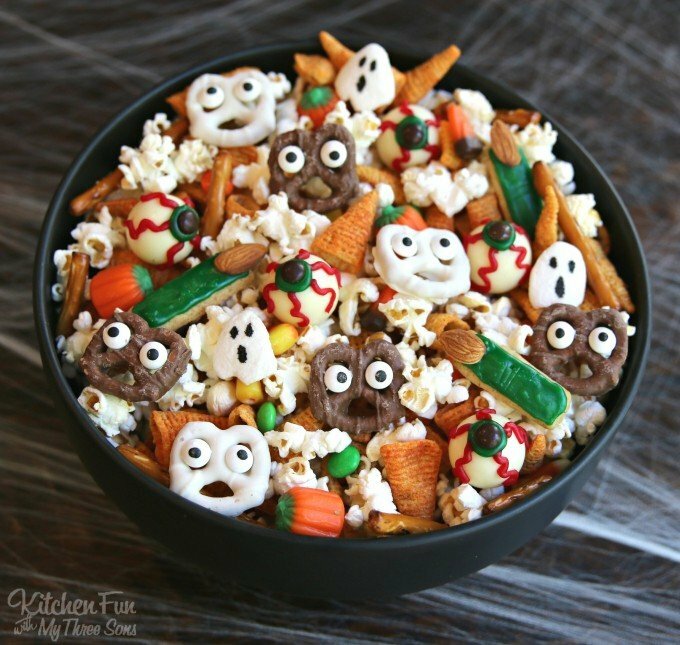 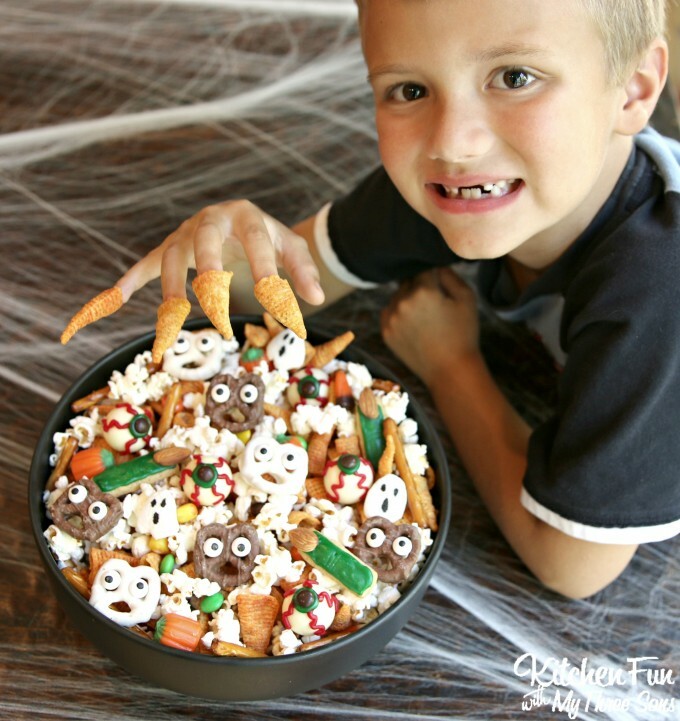 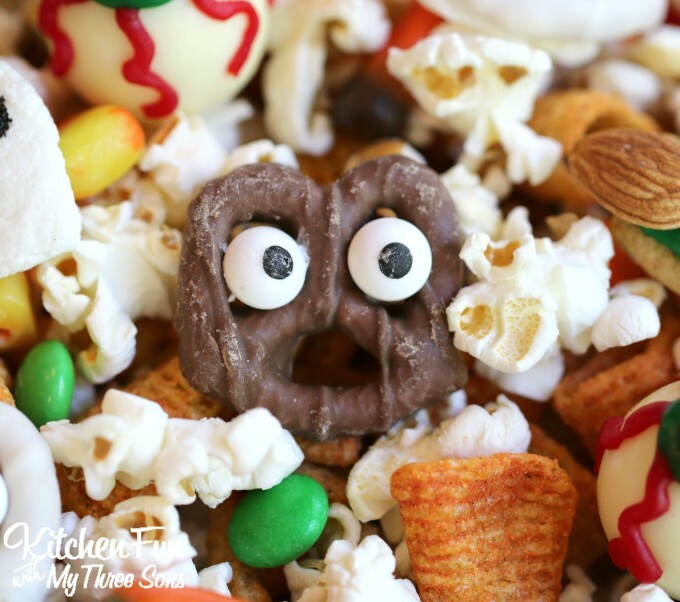 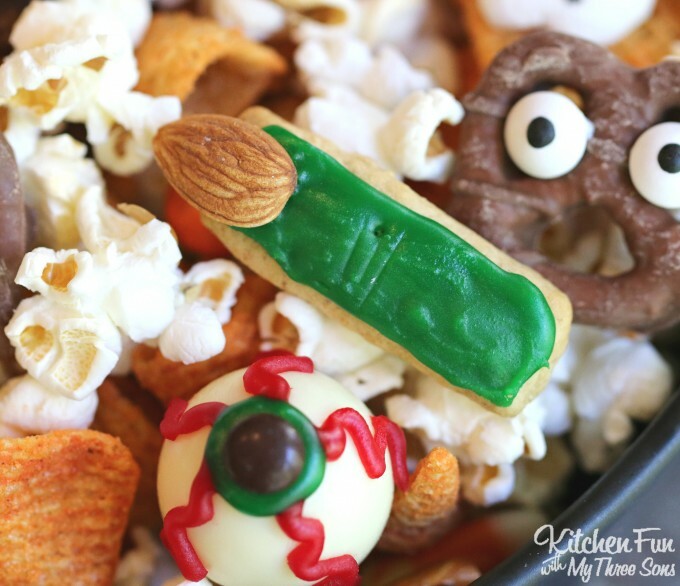 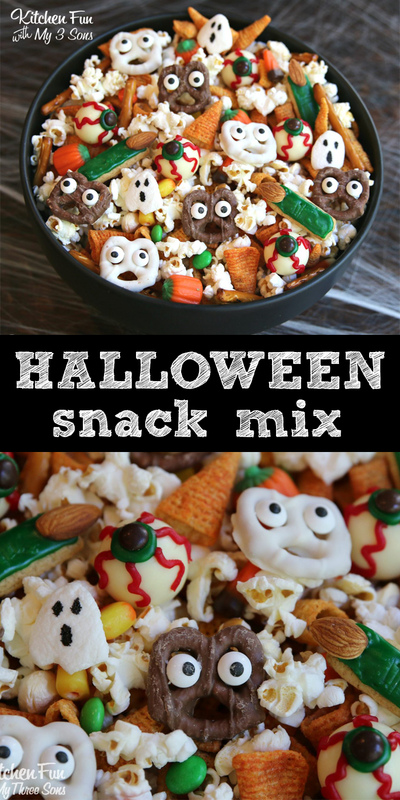 Your Kids are going to absolutely LOVE this fun Halloween Snack Mix that we created for you today! 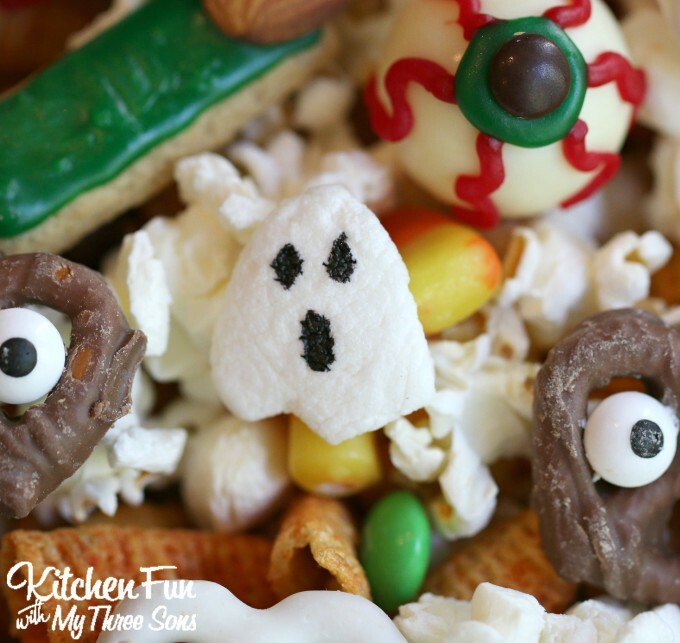 We include Ghosts, Monster Fingers, and chocolate Eyeballs to make this mix extra spooky & fun! 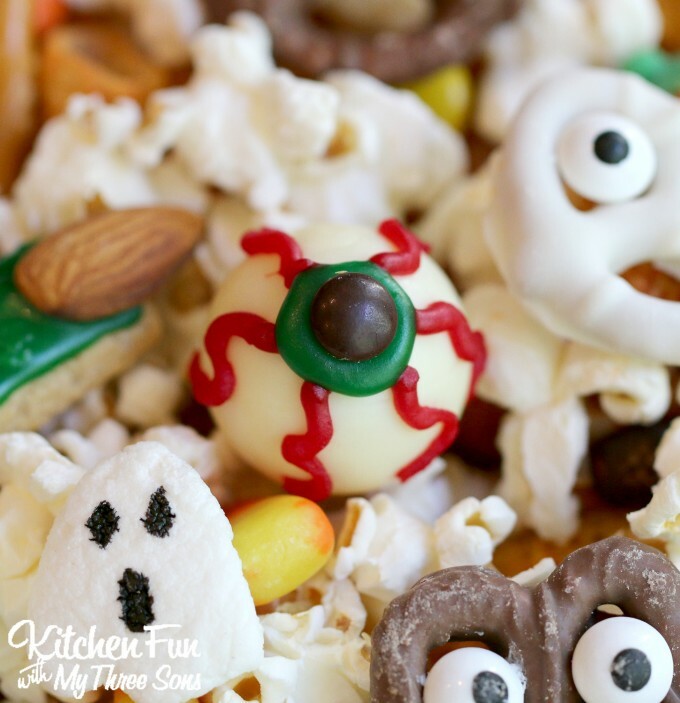 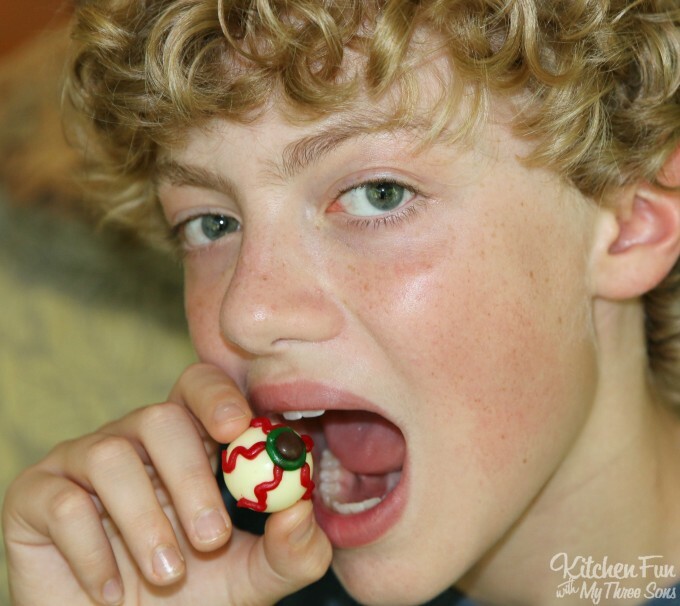 Chocolate Eyeballs – Unwrap your Lindt chocolates and place them on your work surface. 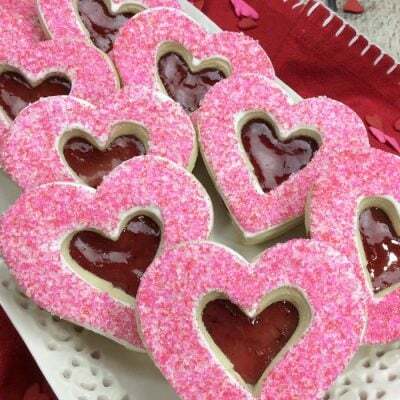 Add your red icing around the sides with squiggly lines. 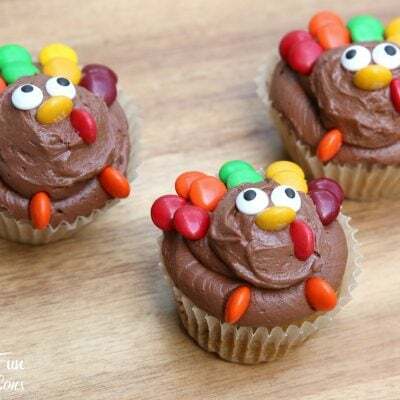 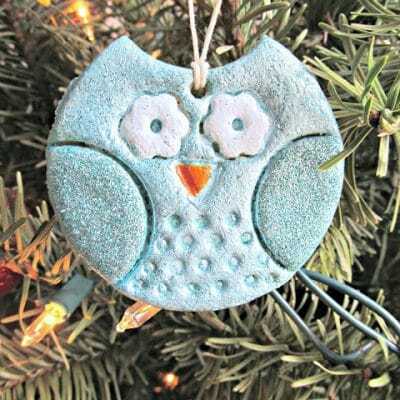 Add a circle of the green icing on top and then attach a Chocolate M&M. 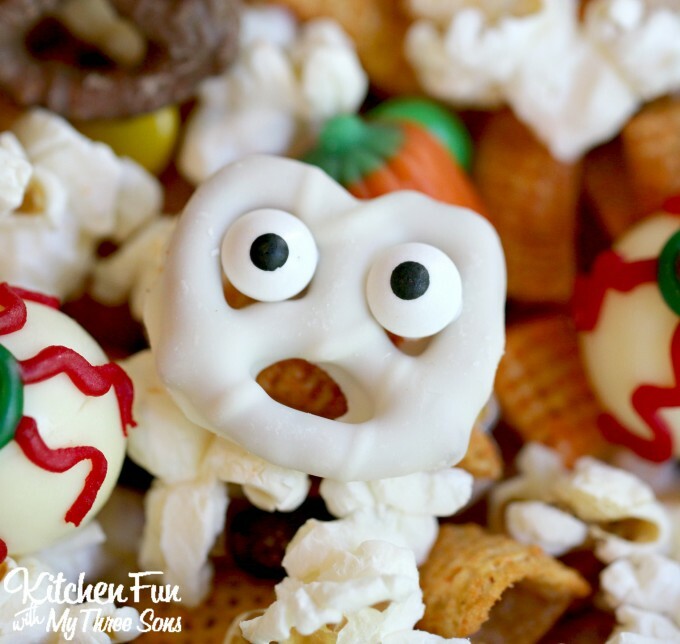 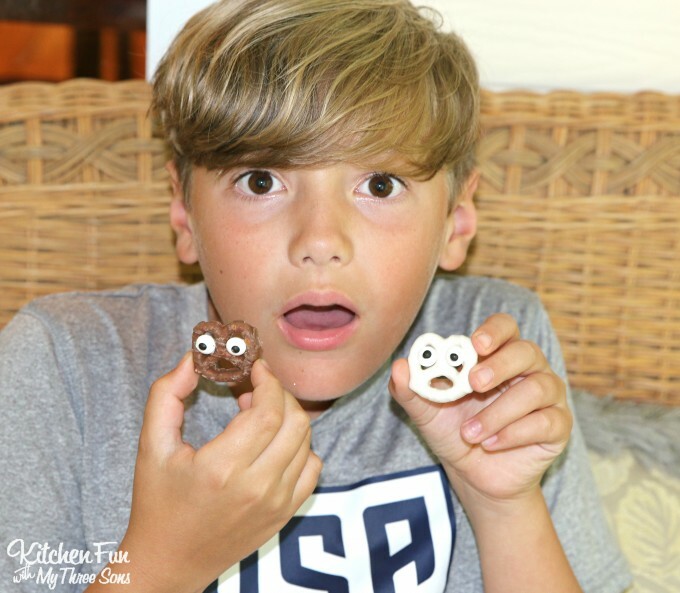 White Chocolate Pretzel Ghosts – Take out your Flipz from the bag and press your candy eyes in the holes…so easy! 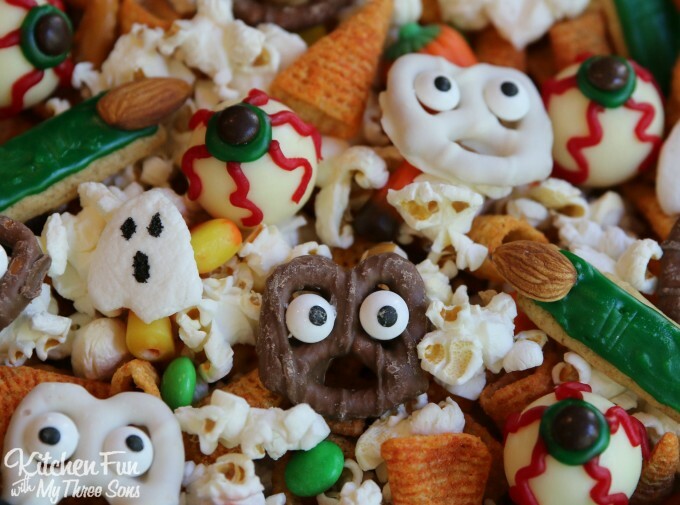 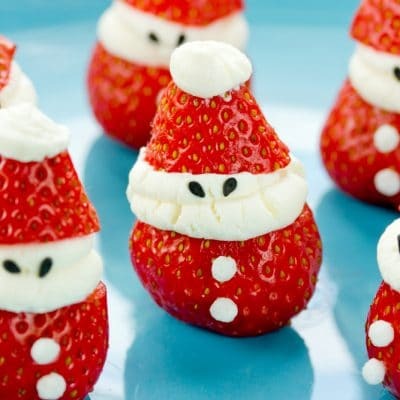 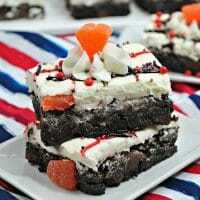 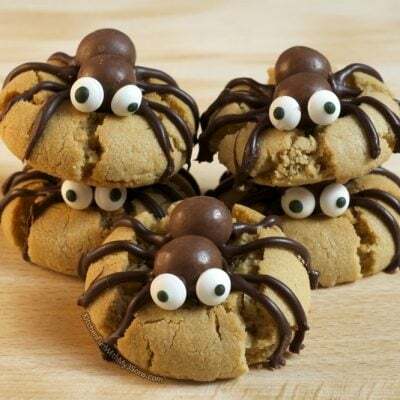 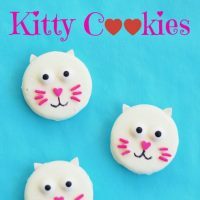 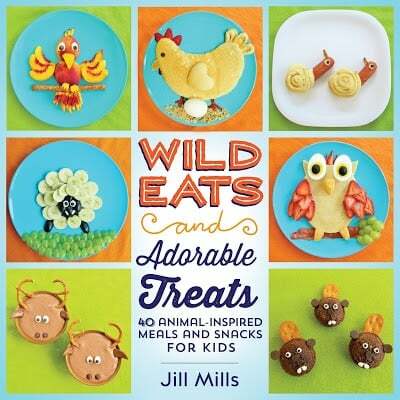 Make sure to check out all of these Awesome Halloween Treats from other creative Bloggers….